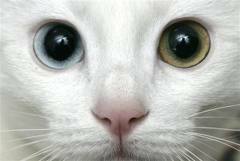 When talking about unique cats, odd eyed cats are often raised as examples, unique in the sense that the colors of odd eyed cats aren’t matched. 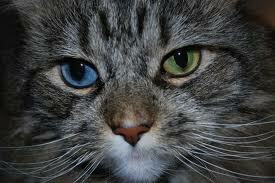 Known as the complete heterochromia condition in humans, an odd eyed cat’s eye colors are oftentimes a mismatched set of blue and green, blue and yellow (copper) or blue and brown. 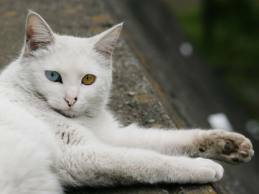 The condition happens to all types of cats, but most instances of odd eyes are known to happen in white colored or predominantly white colored cats. 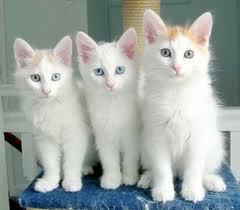 The condition is linked to genetics, mostly occurring in cats which have higher dominant white and the white spotting gene. 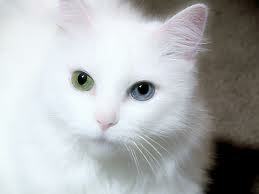 White genes in cats are known to mask other coat colors, while the white spotting gene induces the bicolored condition in cats. 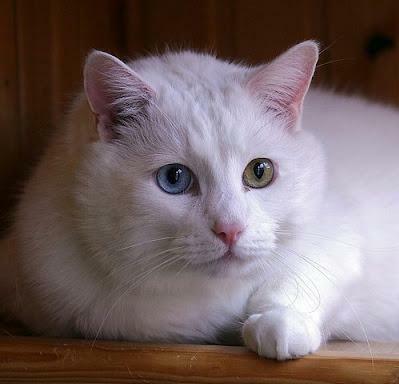 Odd eyed cats, because of their genetic make ups, gain their condition due to the prevention of melanin reaching one eye during their development, brought about their genetic development framework. Since the color of a newborn kitten’s eyes changes over time – a condition that also applies to most newborn mammals – spotting an odd eyed kitten from birth is difficult, but close observation of a kitten’s development can point odd eyes out. 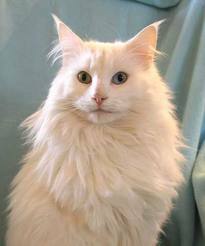 Deafness has been attributed to be a condition experienced by odd eyed cats, but this doesn’t mean that all odd eyed cats are deaf. 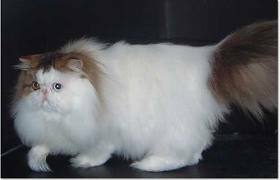 However, because of the predominance of the white gene, most odd eyed and all white cats are prone for higher incidences of genetic deafness, thus the deafness and odd eyed cats association. Other than its connection with deafness, odd eyed cats are essentially no different from other cats, felines who sleep through most of the day, nocturnal in their adventures and activities, as catty as cats can be. 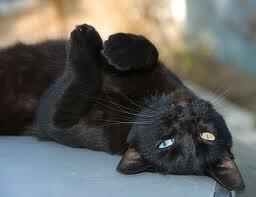 If you want a unique cat around your house, an odd eyed cat will surely draw a lot of inquisitive attentions.